It is a cool, rainy day in Philadelphia. I’m back to drinking hot coffee or tea in the morning, after months of wanting my caffeine doctored with ice. The summer fruits and vegetables are all gone from the markets and have been replaced by apples, pears, cauliflower, and massive bundles of leafy greens. For many, this change in the season means that it’s time to put the canning pot away. I firmly believe that there’s still plenty to preserve this time of year (and hallelujah for that. 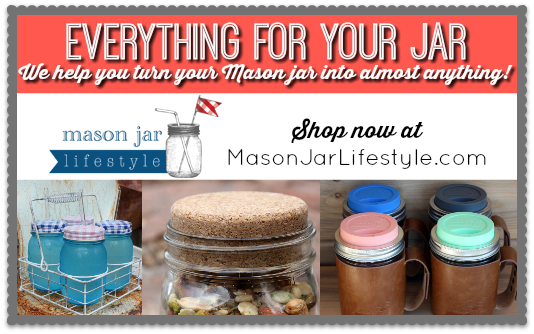 I had a busy summer and still have far too many empty jars kicking around the apartment). 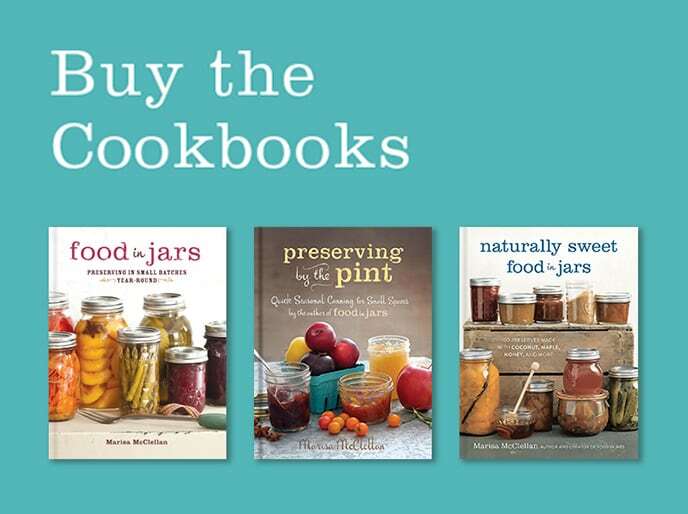 Here are some of my favorite jams, butters, pickles, and chutneys that are perfect for autumn preserving. I love making jams and chutneys with pears. I am smitten with their slightly grainy texture and delicate flavor. They are good on their own, but also play nicely with any number of herbs and spices. Pear Vanilla Jam – This is, by far, my very favorite pear preserve. Look for a smooth, small batch approach on the blog next week. Pear Cranberry Jam – Good on toast, even better with a turkey dinner. Pear and Chocolate Jam – This version uses bits of a dark chocolate bar and is quite rich. Look for a lighter, cocoa powder-based take in Preserving by the Pint. Pear Cinnamon Jam – For deepest flavor, use Vietnamese Cinnamon. 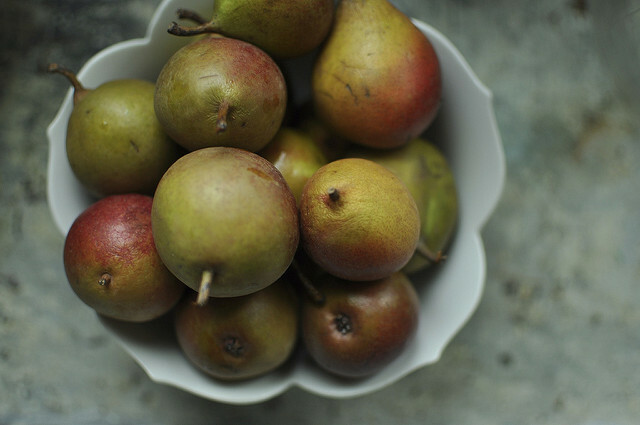 Pickled Asian Pears – This recipe is from Karen Solomon’s wonderful book, Asian Pickles. I love them tossed into baby arugula salads. Apples are just the best thing ever for a dedicated autumn canner. There’s just so much they can do, including playing a starring role in jams, butters, sauces, and chutneys. Get yourself a half bushel and go to town. Honey Lemon Apple Jam – It’s bright, sweet, and perfectly spreadable. The secret is that you cook the apples down with the lemon juice before adding the sugar and honey. Spiced Apple Butter – The slow cooker does all the work for you in this delicious preserve. Apple Pie Filling – With a couple of pie crusts in the freezer, dessert will practically make itself. Apple Cranberry Jam – For even more flavor, add a little cinnamon, ginger, and allspice to the cooking jam. Apple Cider Syrup – Good in a mug of hot tea, great in a bourbon cocktail. Pear Chutney with Dried Cherries and Ginger – This one makes lovely holiday gifts and should always been eaten with aged cheddar. Grated Fennel Relish – Tangy and herbaceous, this relish is great with roast meat. Apple Date Chutney – Sweetened only with dates, this chutney is a perfect edible gift for folks who follow low and no sugar diets. 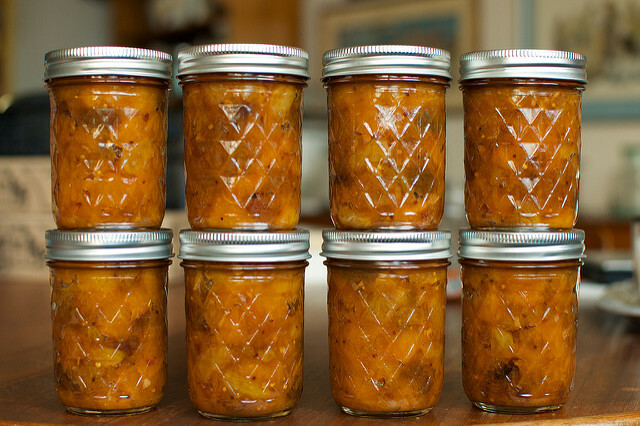 Persimmon and Pear Chutney – Make sure to use the flat-bottomed Fuyu persimmons in this recipe! Sweet and Sour Pickled Red Onions – This pickle is your secret weapon in the fight against wasted food. They can transform all manner of leftover meat, salad, or side into a fresh, appealing meal. What are you canning this time time of year? (My most recent fall preserve was this batch of Apple Pear Sauce for October Unprocessed!). I guess concord season is about over for most folks, but I did a batch of grape jam, pear preserves, and have a pile of quince waiting on the counter. I just spotted persimmons (I think hachiya) at my local Whole Foods, so I would like to try something with them. Just made a slow cooker full of your spiced apple butter this past weekend. 15 hours on low! It was still a little loose, but it was almost time for Sunday Dinner and I work a 40 hour 9-5 during the week so it had do. It is delicious. I LOVE your books and so do all the people who get to eat what I make from them. THANK YOU! This time of year, I usually do pomegranate jelly, when I have a good source of pomegranates that I’ve gleaned. I haven’t gleaned any this year, but I did glean olives, and I’ve been reading how to process them for canning. They have to be soaked for a week to 2 weeks before they are canned, but I am super excited about them! What a discovery: you and your books!!! I am wondering if it is ok to double or triple your recipes? 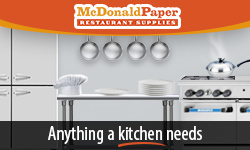 If so, do I need to make any adjustments to cooking time, etc? I need to try the apple-cranberry and pear-cranberry jams! I also make applesauce and apple butter around this time of year. Last year I made a habanero-cranberry jam that I brought with me for Thanksgiving, as well as your honey-lemon apple jam, which I mostly sent to family as a Rosh Hashanah present. I made some of the pear-cinnamon jam also, which was delicious. This year, I’ve made spiced pear butter, plus some apple-pumpkin and just pumpkin butter (all frozen, not canned). I also tried a new recipe for bourbon-spiked apple cider jelly. I think I may have used too much pectin, but I like the idea. 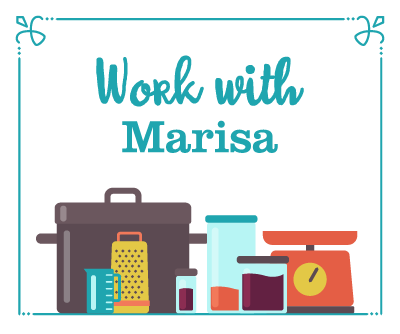 For a seasonless experiment (since they’re never going to be local up here in New York), I recently bought some mangoes and plan on making a mango-tamarind jam this week. Tamarind is quite acidic, so I don’t think adding it to a jam recipe is a problem and I really like the flavor with a number of fruits. So far I’ve only used it with peaches, but I think it would go nicely with mango. 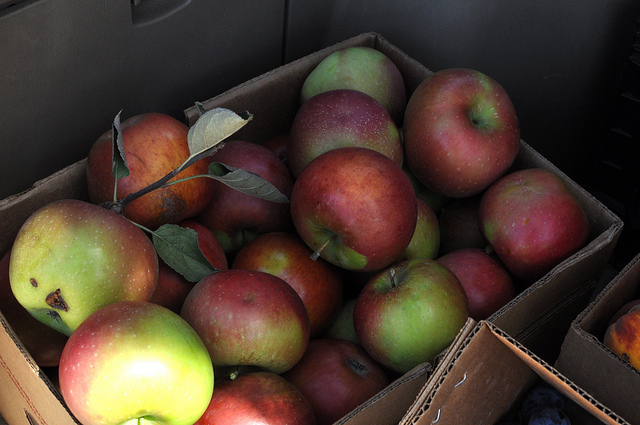 We are heading up to Hood River this weekend to pick up a crate of apples and pears. I’m really looking forward to it! I eat a lot of apples out of hand but I can’t imagine not having applesauce on the shelf. I prefer it to be super plain – basically just cooked apples. So delicious! I think I will try some of your other recipes too, this year. The Honey Lemon Apple Jam and the Apple Cranberry are calling out to me. Last week, my favorite neighbor (who gets a lot of jam and pickles from my house) hollered over the fence to say that the jar of Pear Vanilla Jam that I gave her (from last years batch) was one of the best things she has ever eaten! 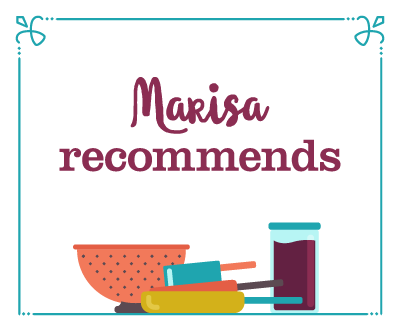 Thank you for the recipe, Marisa! I’m about to embark on my very first attempt at apple butter. From the photo I was hoping pumpkin would be included. 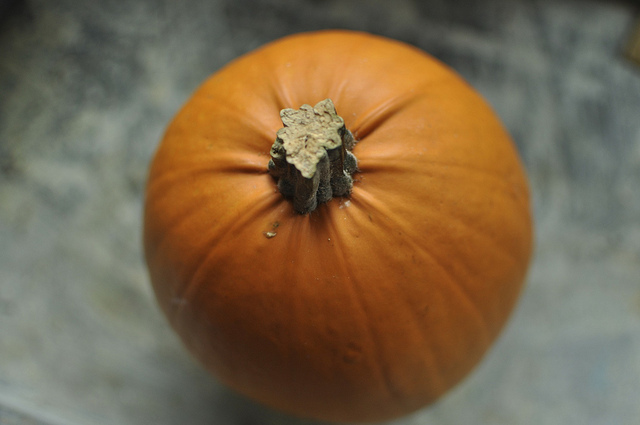 Can you can pumpkin? I buy pie pumpkins and cook them for pumpkin pie. I have put the cooked pumpkin in ziploc bags and frozen them for later use since I can’t seem to find pie pumpkins for Christmas or New Year’s pumpkin pies. But I’ve never looked into canning them. Not enough acid? Keep freezing. You can’t can. After buying a full bushel of apples at the farmer’s market, I canned some chunky applesauce and made some apple butter. I followed your recipe for crock-pot apple butter. It is delicious! Thanks for getting me excited about fall canning- I was having trouble working myself up to it. 🙂 I am ALL about the apples! I’m hoping to make the pear chocolate & kohlrabi matchstick pickles from Preserving by the Pint. Also want to try some pear cranberry chutney, that sounds so good! I’m going to try that pear vanilla jam. It sounds good. I recently made raspberry jam and elderberry jelly and elderberry syrup. My next door neighbors have elderberry bushes (trees?-they are tall-I had to stand on a ladder to pick them) which were prolific this year. When I asked permission to pick them they said yes but they didn’t know they were edible. I gave them a jar of jelly from their elderberries. I’m going to make an elderberry pie too. So I am curious. 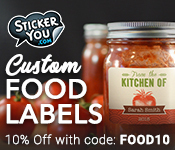 Do they do home canning in other countries besides North America and Western Europe? I honestly don’t know. Every culture has its own methods for food preservation, so even if they’re not canning, they’re doing something to extend the season. Marisa, how about asian pears? I have been getting a ton of them from my CSA’s food share this fall and I can’t seem to keep up with them. Do I treat them like pears or like apples when picking recipes to can? Thanks!!!! Asian pears are a bit lower in acid than the regular ones. The best thing to do is acidify them as you would tomatoes, with one tablespoon of bottled lemon juice for every pint of finished product. We went to Hood River last weekend. We have a pot of applesauce bubbling as we speak. We will make it into fruit leather (stored in a jar, but not canned, does that count?) Other plans include sauerkraut (again not really canned), pears in syrup, chicken stock, cranberry ketchup, and something citrusy when that season rolls around. We’re not canning this month, that I know of (although plans might change if my husband wants to make more dilly carrots), but we are planning on freezing the rest of the spinach in our garden this weekend (frost coming next week, we think! Also, we have to hand the garden plot back over to the city on November 15th with everything taken out), and starting a crock of sauerkraut soon. Although now the apple pie filling is tempting me, even though clear jel isn’t really available here. But my husband is diabetic, so we don’t really do pies very often at all, so I’d cut them up a little more and make little jars of compote for me to heat up and put on ice cream. I just did a lovely variation on your spiced apple butter recipe with cranberry added in. That lovely garnet colored spread is tart and spicy and sweet, and it’s incredible. It was also just as easy to make since I did it all in the slow cooker. I also did a another batch of pickled jalapeño rings, seems like peppers are always in season here in Southern California. I’m most excited for persimmons; they’re just starting to creep into the markets and when they’re fat and juicy, I’m going to attempt a persimmon jelly! As I get ready to can (before my pears over ripen!) I have another question. Is it ok to use Agave in place of sugar or honey? If so, how do I determine the amount of agave to use, particularly for sugar? Would I use the same amount as for honey? You can substitute agave for honey in a one for one swap. If you’re going from sugar to honey or agave, use about 1/3 less by volume than sugar. However, if you are going to increase recipe sizes and want to swap in liquid sweeteners, your finished preserves are going to be really loose. That’s because when you use a liquid sweetener, you’re increasing the amount of liquid you’re going to have to cook out of the jam. Ah, thanks. All makes sense. I think I’ll stick to sugar and only use agave in place of honey, but I don’t think it’ll be as good. I have lots of agave to use and virtually no honey so I’ll use it up first. I could say it’s a chunky pear syrup! I have a persimmon (flat bottom) tree next door and can have all I want. Would love some good recipes to can them? The Persimmon and pear chutney sounds great for starters………….. 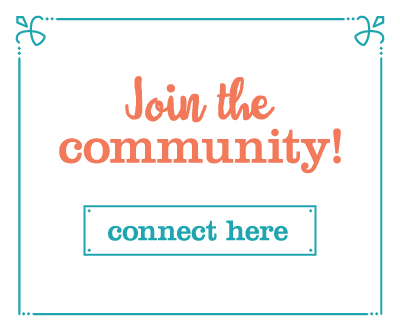 There are posts from a variety of bloggers on all aspects of preserving. I just finished apple pie jam and apple maple jam. yummy! do you think if I made the sweet & sour pickled red onions in half pint jars it would change the processing time? I only have access to that 4th burner pot right now. Processing times would remain the same!